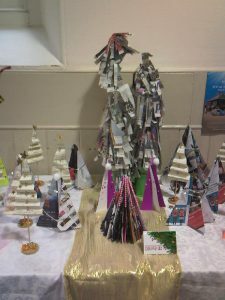 There was a great deal of creativity on display the weekend of 9-10 December. 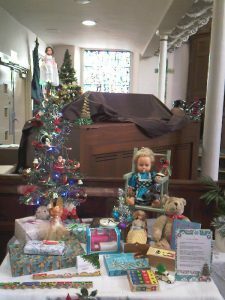 St Columba’s put on a festival of Christmas trees, whilst the regular Victorian Christmas market was in full swing outside in Northumberland Square. 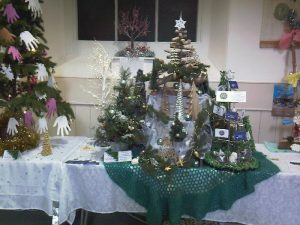 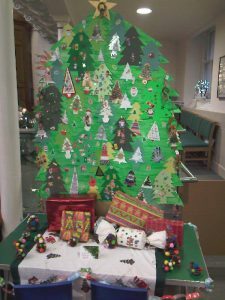 Nearly twenty groups connected with the church, including other local churches and organisations, had designed displays. 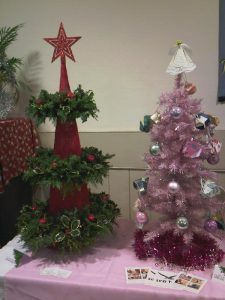 There was a great variety to be admired. 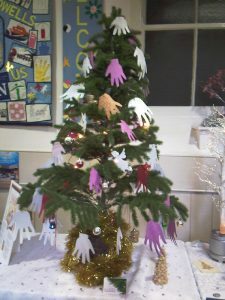 The Brownies had made very effective trees out of folded paper, LD North East and the Thursday Guild had photos of some of their faces hanging from their trees, Café 2.21 and Early Bird Breakfast had made decorations that looked like tea cups and fried eggs, and of course HANDS had to decorate their trees with hands! 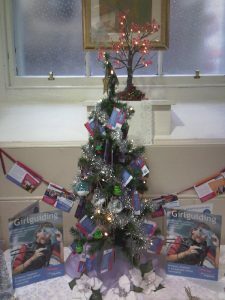 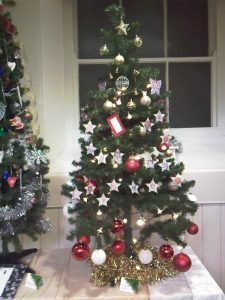 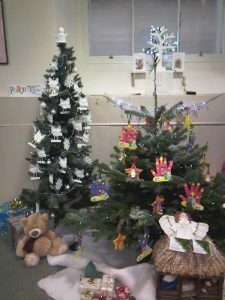 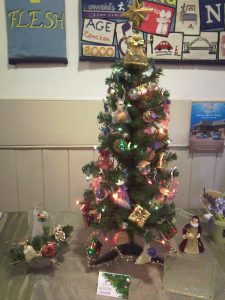 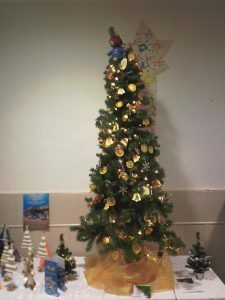 There was a vintage tree with memories of the 1950s, and an appearance from Paddington Bear with his jars of marmalade. 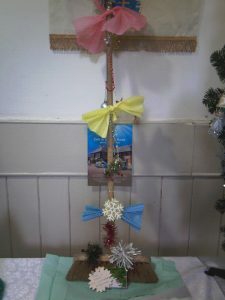 Even the cleaners had contributed a wooden broom decorated with dusters! 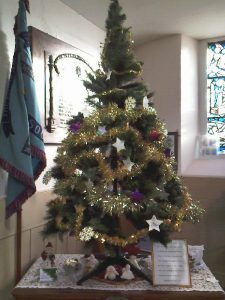 A tree of memories gave an opportunity to remember those no longer with us. 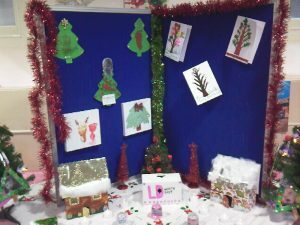 There had been a lot of colouring in, cutting out, making and decorating. 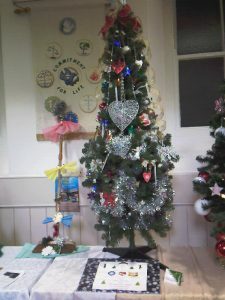 Next door in the church hall, creativity of a different sort was in evidence. 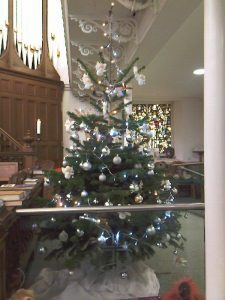 On a cold weekend, with a brief dusting of snow on the Sunday afternoon, the soup proved very popular, along with an appetising selection of home-baked scones and tray bakes. 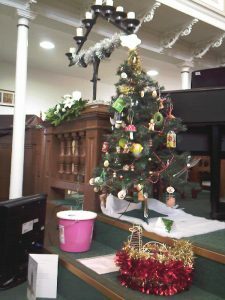 Many thanks are due for a good deal of hard work on a very successful weekend, raising £750 each for local cancer charity Daft as a Brush and for church funds.